Home News Now You Can Zip-line in Udaipur @Rs200! 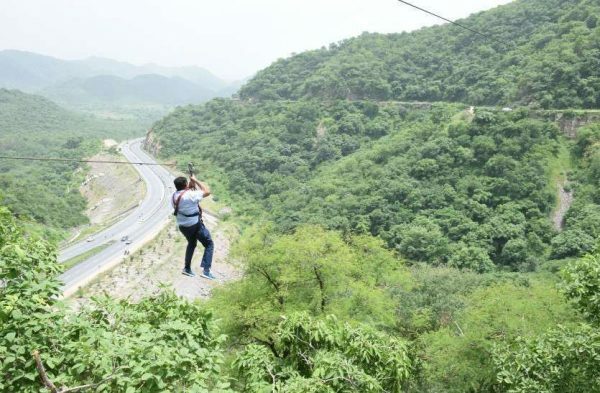 Now You Can Zip-line in Udaipur @Rs200! Udaipur has so much to give to its visitors and residents!!! On 3rd August 2018, Home Minister Kataria inaugurated the “Valley of Flowers” at Chirwa, in Udaipur. 80 hectares of the Ghat section is now covered with different flowering plants sanctioned by the Ministry of Forest and Environment under the CAMPA Yojana. For all those who love that adrenaline rush can enjoy the newly constructed Zip-line in the same area. It is quite evident that Udaipur has seen a lot of development in tourism in the recent times and ziplining is one of them. After the formation of the four-lane and Chirwa tunnel on the Udaipur-Nathdwara highway, the route of the Chirwa ‘Ghata’ was less traveled. The route once gave the best view of the dense thicket spreading from Amberi to Chirwa. The locals, as well as tourists, were deprived of this beautiful view of the forest post construction of the tunnel. 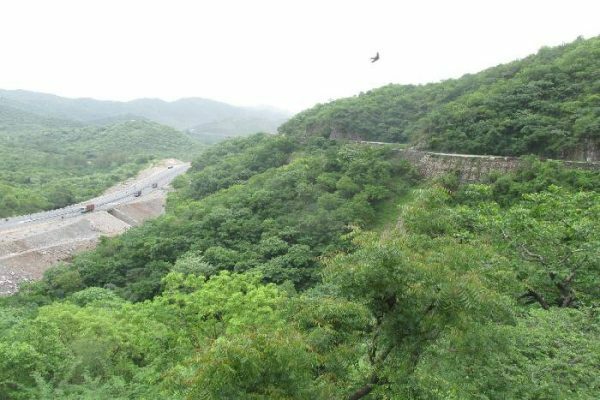 This valley has been developed by the forest department in the form of a flowering valley, which has been the entrance of Udaipur for years. Here, you can watch birds and animals in their natural habitats from the respective viewing points, which are created with flowering plants on either side of the serpentine road. The Home Minister has reportedly spoken about making the place a center of interest for activities like Horse Safari, study centers, floriculture and conservation of various species. Carving figures on rocks will also be seen. Nature trails, cycling rides, cafeteria, nature view points at the four places, Interpretation Center will also be deployed. Also, apparently there will be golf carts in the area too for sightseeing until then visitors will have to walk and enjoy the beauteous nature. Entry fee for adults will be available at 30 rupees for adults, Rs 10 for students, 100 rupees for foreign nationals, Rs. 50 for video capturing, Video camera will be charged at Rs. 100, Hill cycle 50 rupees per hour and Zip line will be charged at Rs. 200. Previous articleकभी सोचा है मेवाड़ में हरियाली अमावस्या का मेला क्यों भरता है ?